Even the simplest family law cases are full of emotion. Anger, sadness, jealousy, envy, it covers the whole spectrum. Unfortunately, choosing the wrong family law attorney just makes matters worse. It is important that you feel comfortable speaking with your Upland divorce attorney. You should also feel confident that he/she will not just give you good advice but, also, that they will fight for you when you need it most. You need an Upland divorce attorney with strength, experience and knowledge. You need an attorney who is affordable and accessible. Selecting the right Upland divorce lawyer is one of the most important things that you will do. A divorce affects your finances, property, children, even your friendships and social life. Yet, most people spend less time selecting a divorce attorney then they do a used car. At the Law Offices of Marc Grossman, our friendly staff and attorneys are concerned about you. We know this time is tough. So, we listen to your concerns. We try to create a relaxed atmosphere that will put you at ease. Our Upland divorce attorneys have more than 100 years of combined practice experience. We use that knowledge and experience to create a sound divorce strategy for you. We also try to educate our clients. We counsel them on how to keep their attorney’s fees low and how to resolve their matter quickly. Taking this kind of approach helps us to keep your attorney’s fees bill low. A fast resolution also means that you will be able to get off the emotional roller coaster and get on with your life. We hope that the videos and information that you will find here is helpful. The links below will get you where you want to go quickly. For additional information on a particular subject, check out the “Family Law” menu above or, call to speak to an Upland divorce attorney at 1-855-LOMG-911. What are the First Steps of a Divorce? What is Community Property and How is it Divided? What Happens With Our Marital Debts? A portion of the value of your spouse’s professional practice goodwill. If you would like more information about community property click here. We want to be a resource for you. So, if you have specific questions about your situation call to speak to an Upland divorce lawyer at 1-855-LOMG-911 or use the contact form on this page. We will take the time to answer all of your questions and give you guidance where appropriate. Even if you do not hire us, you will benefit from a free consultation. In California during marriage, the marital community is responsible for all debts of either spouse, whether incurred before or during marriage. However upon divorce, the debts of the spouses, which were incurred before marriage, will be confirmed to the spouse who incurred the debt. It is very important to make sure that your debts are fairly settled and assigned, so that when you start over you do not pay what you should not have to. If you would like more information about debts and obligations accrued during marriage click here. We want to be a resource for you. So, if you have specific questions about your situation call to speak to an Upland divorce attorney at 1-855-LOMG-911 or use the contact form on this page. We will take the time to answer all of your questions and give you guidance where appropriate. Even if you do not hire us, you will benefit from a free consultation. Student loan debts are assigned to the student spouse at divorce. Did you know that payments on your spouse’s student loans with community funds means that you (through the community) are entitled to reimbursement for these payments? This right to reimbursement is something you should investigate before making important decisions. We want to be a resource for you. So, if you have specific questions about your situation call to speak to an Upland divorce attorney at 1-855-LOMG-911 or use the contact form on this page. We will take the time to answer all of your questions and give you guidance where appropriate. Even if you do not hire us, you will benefit from a free consultation. Deciding what is best for the children is one of the most important questions to be answered during a divorce. The single concern is what is best for the children. Custody these days does automatically go to the mother. In fact, more and fathers are receiving primary custody. In regard to the children, both parents have the same rights. It is not uncommon for the order to order 50/50% custody if both parents are fit and the circumstances are right. 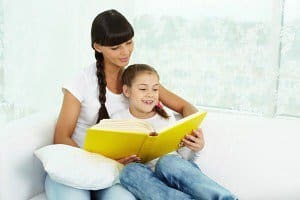 This is because it is important for both parents to have frequent, meaningful time with the kids. Divorce is hard enough on children, and we share your concern that it not be made any harder. We can help you by advocating to ensure that the court’s decision is sensitive to your child’s need for stability during this troubled time. We always advise our clients to keep their children’s best interest in mind. We encourage them not to use the kids to punish their spouse. It is always best if the parties can separate their emotions from the custody issue and realize that it is best for the kids to have both parents in their lives. We are sure that you have more questions about child custody. This short video explains custody arrangements. Take a minute and watch it. Then, call us if you have questions about your particular circumstances. If you would like more information about child custody Click here. Parents have a duty to support their children. At the Law Offices of Marc Grossman, we have a team of trained advocates, who can make sure your children get the fair award of support that they deserve. Child support should be fair, if the award of support is no longer fair due to a recent loss of income, call us and we can help you to modify it to ensure that it is fair for all involved. We are sure that you have more questions about child support. This short video explains how the court determines child support. Take a minute and watch it. Then, call us if you have questions about your particular circumstances. If you would like more information about child support click here. Alimony or “Spousal Support” is court ordered financial support for a spouse who needs it to maintain the “Status Quo” or current living standard at the time of “Separation”. In most cases, spousal support is intended to be temporary. The law favors a spouse becoming self-supporting as soon as reasonably possible. However, in long-term marriages, the law provides that both spouses have the right to lifetime spousal support. A “Long-Term Marriage” is one that is at least 10 years in duration. The right to lifetime spousal support does not mean that the court will grant it to you. This is because the law expects you to be self-supporting whenever possible. However if, for example, you are unable to find an appropriate means of support because you have stayed at home with the kids for the entire marriage or you become disabled, the court may order lifetime spousal support. Spousal support terminates when the supported spouse remarries or dies. Spousal support may also be modified or terminated whenever there is a significant change in circumstances. A change of circumstances can be a job change, living situation changes or other change where there is a significant change in either party’s financial circumstances. This short video may help you to understand how alimony or spousal support works. Take a minute to watch it. Then, call us if you have questions about your specific circumstances. If you would like more information about spousal support click here. We want to be a resource for you. So, if you have specific questions about your situation call to speak with an Upland divorce attorney at 1-855-LOMG-911 or use the contact form on this page. We will take the time to answer all of your questions and give you guidance where appropriate. Even if you do not hire us, you will benefit from a free consultation. One of the first questions asked by family law clients is “how long until I am divorced.” That is a complicated question. There as so many variables that it would be impossible to give you just one answer. A contentious divorce can take years to resolve in some cases. The average is somewhere between 1 and 3 years. The one sure thing we can tell you is that it takes a minimum of 180 days before a final judgment is entered. This is true even in default cases. The reason is that the California legislature felt that it was in the best interest of the institution of marriage to establish a “cooling off period.” The idea is that, given the time, the parties may reconcile. Then, your family law attorney will prepare several documents that will be filed with the court and served on your spouse. The following is the order that a typical divorce follows in its first phase. The “Petition for Dissolution” is the first document filed with the court in every divorce case. The person filing the petition is referred to as the “Petitioner”. The same form is used for legal separations and annulments. There are other similar documents that are filed to initiate other types of family law cases such as adoptions and paternity cases. On the petition you tell the court about you, your circumstances and generally what you want out of the divorce. It can be used to tell the court what property may be community property and what you think is separate property. It can also be used to tell the court what you would like in terms of child custody, child support, spousal support and several other items. The petition is not an order of the court. Filing it does not establish property rights, custody, support or anything else until a judge says it does. In addition to the above, the petition gives your spouse “notice” that a case was filed and what you want. It does not matter which spouse files the petition and there is no strategic advantage to being the first to file in most cases. The “Summons” is issued by the court when the petition is filed. The summons is the official document from the court that advises the other party that a case has been filed and that they must respond to the petition within 30 days. The summons also advises the other party of what is call an “Automatic Temporary Restraining Order” (ATRO). The “Automatic Temporary Restraining Order” is issued in every divorce case. In essence, ATRO orders BOTH parties not to do anything to change the status quo. This includes: selling assets, closing financial accounts, moving the children out of state and a number of other things. There can be serious consequences to violating ATRO and doing so NEVER helps your case. As soon as ATRO has be issued and served, the court must decide those things that affect both parties, their assets, debts and children. A “Request for Order” must be filed to establish such things as child custody, child support and who has the right to stay in the family home. After the summons and petition have be filed, they must be “Served” on the other party. A summons must be personally served on the other party by someone other than the petitioner over the age of 18. Usually an Upland divorce attorney will use a professional, licensed process server to do the job. The time starts ticking as soon as the papers have been personally delivered. The served party has 30 days from that date to file a “Response”. If no response is filed within that time, the petitioner can ask the court to enter a “Default” against the served party. After the 30 days has past, the petitioner may request that the court enter a “Default”. If a default is entered against the served party, that party may be prevented from filing documents in court unless they file a motion to set aside the default. The more troubling aspect of a default is that a final judgment may be entered in favor of the petitioner. That is to say, the petitioner may get everything they asked for in their petition. A “Response” is the document filed by the served party or “Respondent” to answer the petition. The response is similar to the petition. It provides the court with the same information only from the respondent’s perspective. The response must served on the petitioner but it can be served by mail. In fact, almost everything in a divorce case can be served by mail after the response has been filed. With the petition and response the parties exchange information about their finances, assets and debts. This is called the “Initial Disclosures”. Both parties are required to make these disclosures and must be honest and forthcoming with the information. In some cases these disclosures are incomplete or they are not broad enough in scope. If that is the case, additional “Discovery” will be done to uncover the missing information. “Discovery” is the process by which the parties request information or documents from each other. Discovery may include form interrogatories (predefined questions), special interrogatories (those drafted by an attorney tailored to your case), request for production of documents and other similar requests. Discovery may also include “Depositions”. A deposition takes place outside of court, usually in an attorney’s offices. Together, with your attorney, the opposing attorney can examine you under oath in front of a court reporter. The court reporter documents the questioning and your answers in what is called a “Transcript”. The transcript can be used in court so, giving honest answers is important. If you have additional questions about the first steps in a divorce case, please call to speak with an Upland divorce attorney at 1-855-LOMG-911 or use the contact form on this page to request a free consultation. Before dragging your spouse into court over who gets the toaster, you should watch this video. You should consider that it will be a judge and not you who will decide the fate of your throw pillows. Sometimes divorcing couples will need to go to court. There may be a need for a interim child custody and visitation order. There may be issues of domestic violence. You may need a judge to decide who gets to stay in the house. However, most divorces can and should be resolved without court. Mediation, arbitration and negotiation by the family law attorneys are better, less expensive options. In this short video, Upland family law attorney, Marc Grossman Explains how to same money on legal fees by avoiding unnecessary court hearings. Take a minute and watch it. Then, call us for answers to your questions about your specific case. The consultation is free. No pressure. No obligation. Just answers. We want to be a resource for you. So, if you have specific questions about your situation, call to speak to an Upland divorce attorney at 1-855-LOMG-911 or use the contact form on this page. We will take the time to answer all of your questions and give you guidance where appropriate. Even if you do not hire us, you will benefit from a free consultation.